Get ready for the final showdown between Eddie Brock and Knull with this VENOM #6 preview. 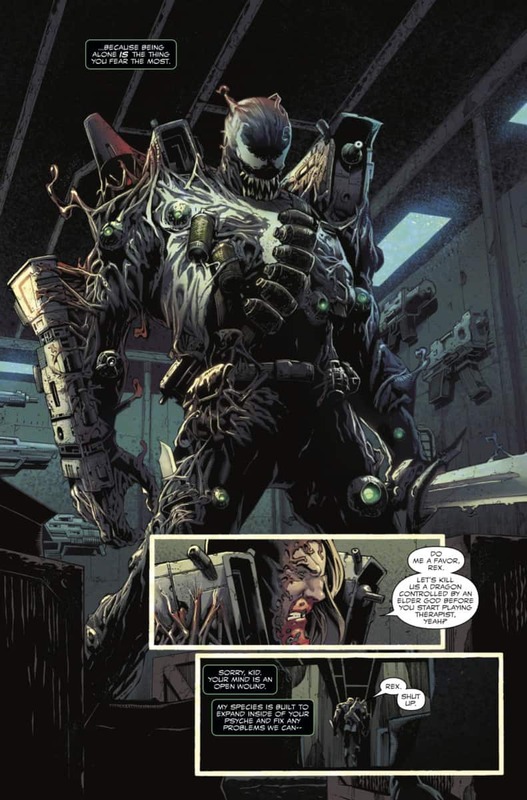 In the last issue of VENOM, Eddie Brock’s symbiote gained new powers after Knull briefly connected with it. Using its newfound telepathic abilities, it learned a secret about Rex, the mysterious Vietnam vet who helped Eddie out a few times. 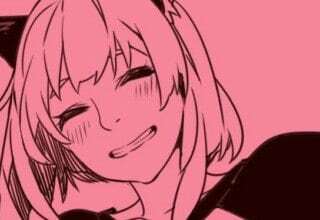 It turned out Rex died back in Vietnam, and his Symbiote took his place. The Rex symbiote joined with Venom and they became one being with one purpose: to fight Knull before he can destroy the Earth. 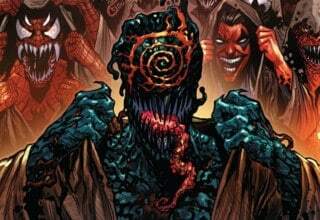 They make that a reality in this VENOM #6 preview. In the VENOM #6 preview, we see what happens immediately after they bond. Rex opens up his armory to Eddie, and they suit up with these weapons in preparation for their battle with Knull. 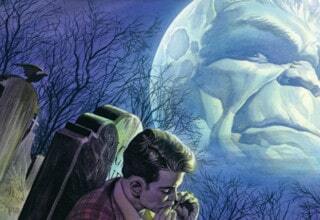 After Rex tries to psychoanalyze Eddie, they go outside. 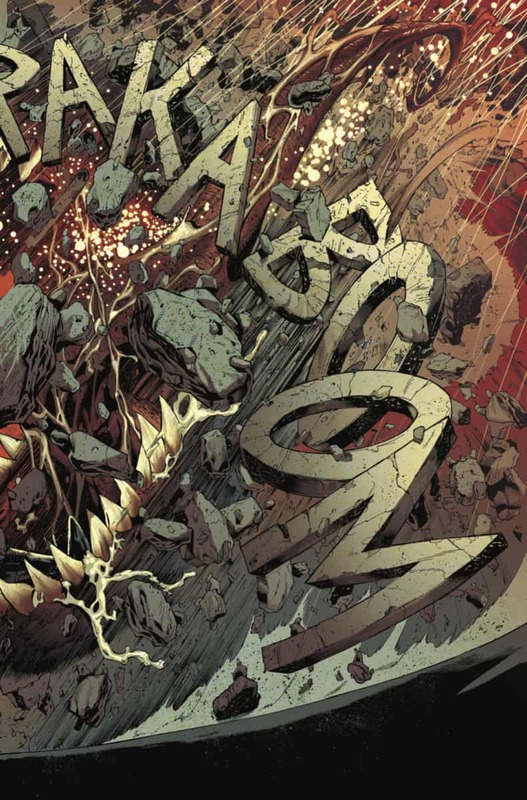 There, Rex is able to call Knull back to Earth, since he was once part of Knull’s symbiote dragon named Grendel and he still retains a connection. 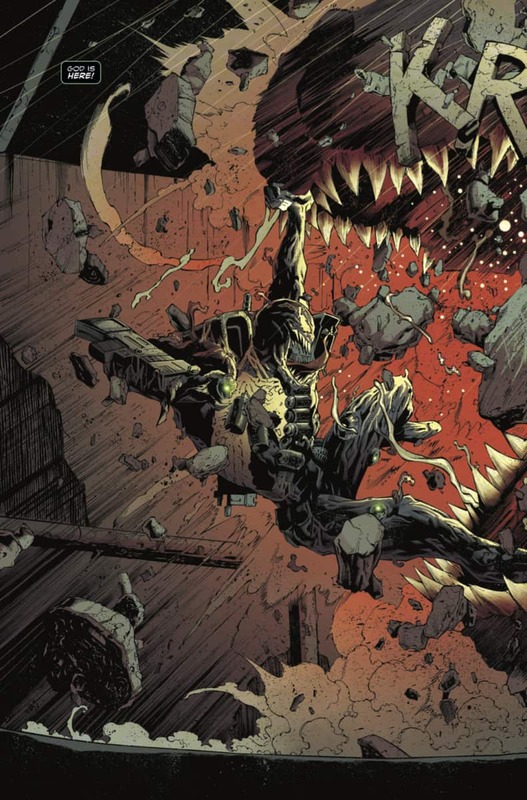 The call goes through, and Venom is ambushed by Grendel. It sets the stage for what will surely be an epic fight. 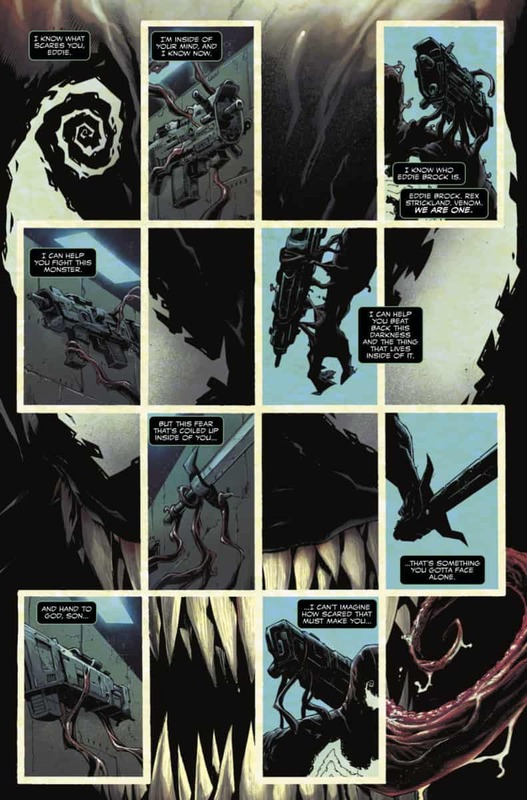 This VENOM #6 preview exemplifies what makes this series so great in only five pages. It’s jam-packed with over-the-top ridiculousness combined with awesome looking designs. 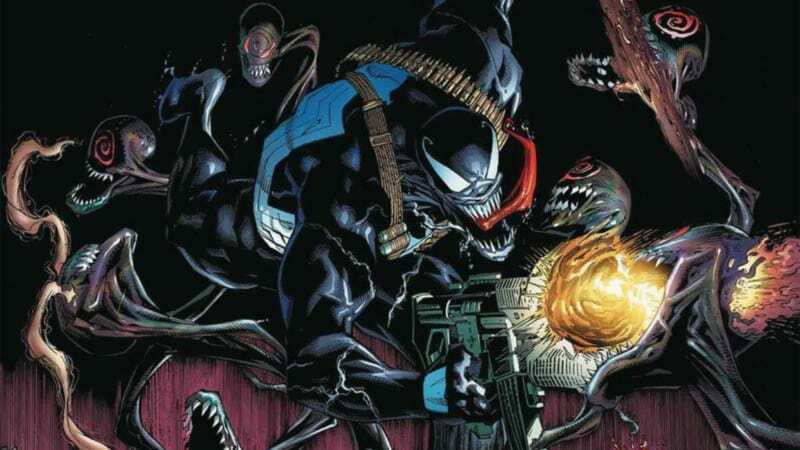 Venom looks like an amalgamation of every ‘90s anti-hero, and it’s just glorious. Not to mention that downright beautiful looking splash page which closes this VENOM #6 preview! 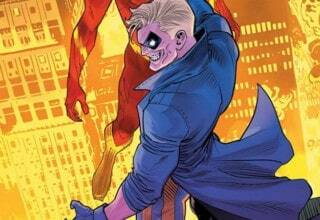 Artist Ryan Stegman goes above and beyond this issue, that’s for sure! 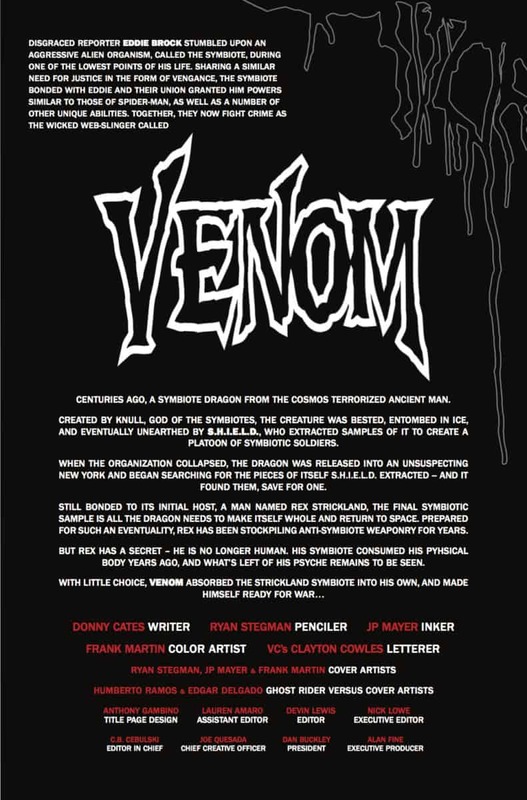 If this tantalizing first look at the VENOM #6 preview whetted your appetite, be there at comic stores or Comixology on September 19th to pick up this jaw-dropping issue! 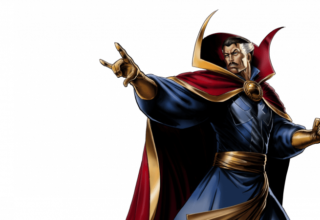 Writer Donny Cates clearly doesn’t let up with his relentlessly fantastic writing, if this preview is any indication. 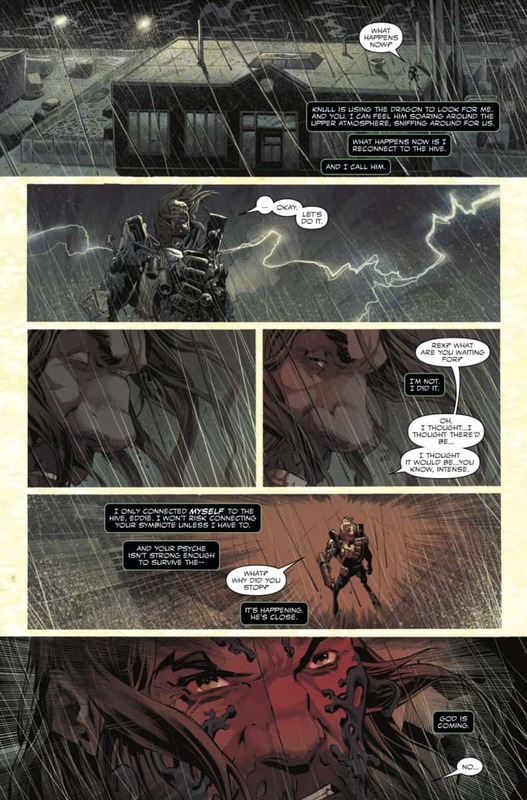 And, as stated above, Stegman, inker JP Mayer, and colorist Frank Martin deliver page after page of stupendous visuals. 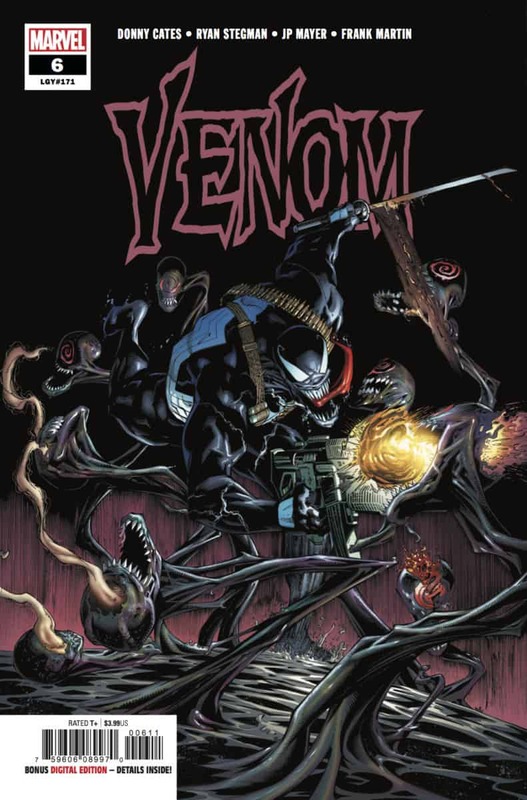 You gotta pick up this issue, Venom fans!